As a child, Mignette Yvonne Patrick Dorsey listened to her mother read old newspaper clippings touting her father’s courageous stand prior to the start of the civil rights movement. The world of journalism later beckoned. She began researching Speak Truth to Power, The Story of Charles Patrick, a Civil Rights Pioneer after being challenged by two editors at the now-defunct Houston Post. A Los Angeles, California native, Dorsey is the youngest child of Charles and Rutha Patrick. 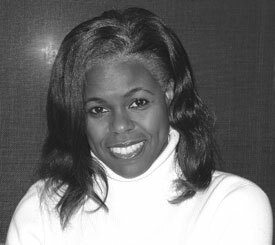 She is an award-winning print journalist who has worked as a city spokesperson and a high school journalism educator. Currently, Dorsey teaches writing classes at a community college, and is a graduate student. She enjoys exercising, bicycling and traveling with her husband.